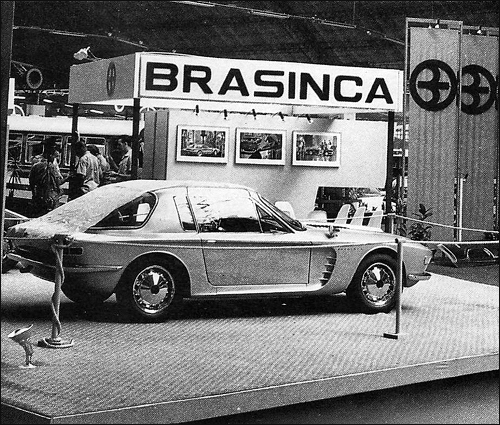 The Brasinca 4200 GT public debut took place at the 4th São Paulo Motor Show, in the Ibirapuera Pavillion, oppened from November 27th to December 13th, 1964. The engine came from the Brazil built Chevrolet truck line-up, an in-line six cylinder. The displacement is increased from 3.850 to 4.271 cm³, with the addition of three imported from England SU-H6 1-barrel carburetors resulting in 155 gross horsepower at 4,000 rpm.